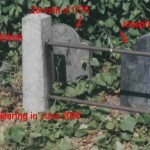 This photo has gravestones of two children, James and Sally, whose headstones are on the viewer’s left. 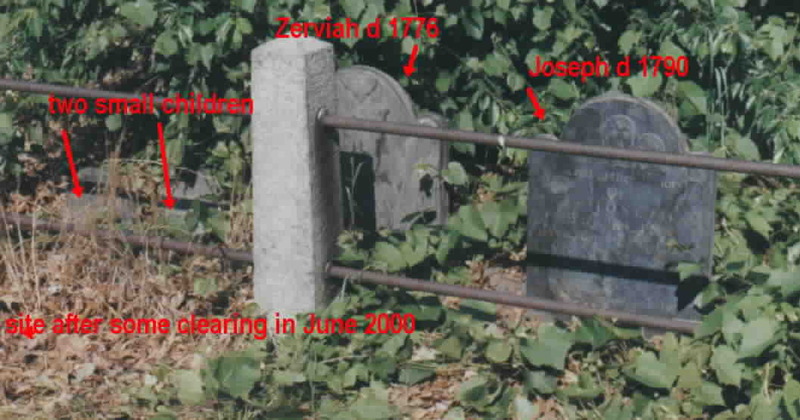 The gravestone of wife Zerviah, and gravestone of Joseph are on the viewer’s right. 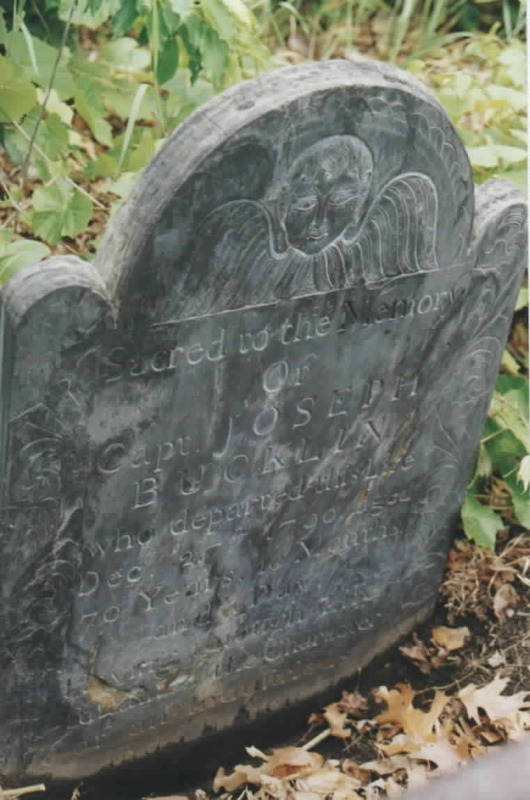 Headstone composition is slate in “good” condition in June 2000, with good legibility. The stone carvers was Gabriel Allen (identification of carver made by John Sterling) This same carver also did the gravestone of Zeriah. 3. John E. Sterling (JES) done in 1994-1997 – 30,000 names. 4. Leonard H. Bucklin, (LHB) June 2000, in company of John E. Sterling and Elizabeth Johnson of Spaulding House Research Library. 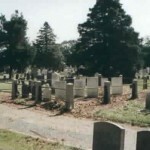 This family plot has Col. Hezekah Sabin in the back row of graves and his descendents in front of him. The very left front corner of the plot has the grave of his grandson James Bucklin, who died soon after birth. 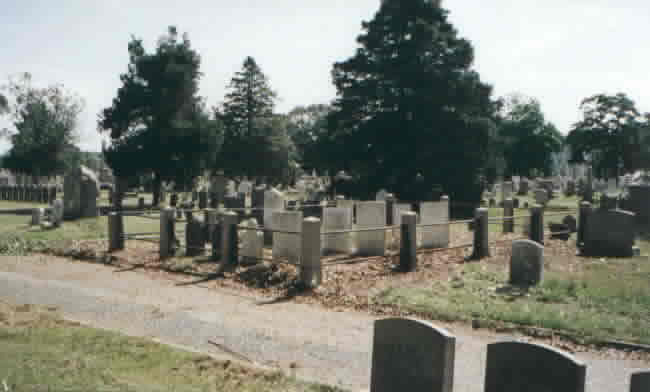 Thus the Joseph Bucklin family began to fill in the line on the front row of graves of this family plot. This line of graves is the end of this line of Bucklins. 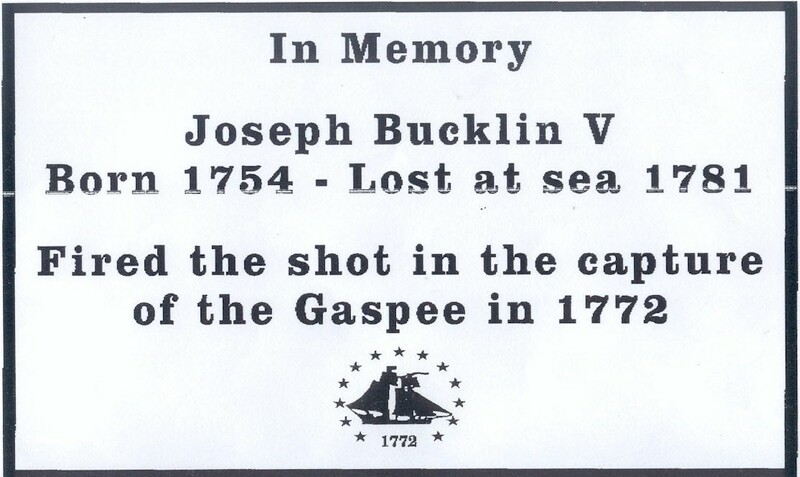 Although Joseph Bucklin’s siblings and uncles left vigorous lines of descent, the Joseph Bucklin 5th who fired the “First Shot of the Revolution” has no direct descendents. 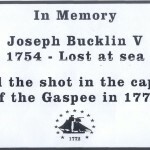 The grave of Sally Bucklin Ensworth, daughter of Nancy Bucklin Ensworth and Gideon Ensworth, is to the viewer’s left of Capt Joseph Bucklin. 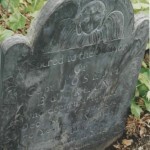 It shows Sally Bucklin died at age 22 on 10 Nov. 1803. And then to the viewer’s right (and the last in the line of graves enclosed by the present iron railing, is the gravestone of Nancy Bucklin Ensworth, whose gravestone shows the is the widow of Gideon Ensworth of Canterberry CT, and that she died 28 Sept 1826. Nancy was a teen age girl when her sister Sally Bucklin was born, and the death of her sister when Sally was only 14 probably was the inspiration for Nancy naming her first born daughter “Sally Bucklin Ensworth”. The tragedy was that this daughter also preceded Nancy in death. Nancy’s headstone shows it was erected by Hezekiah Sabin. 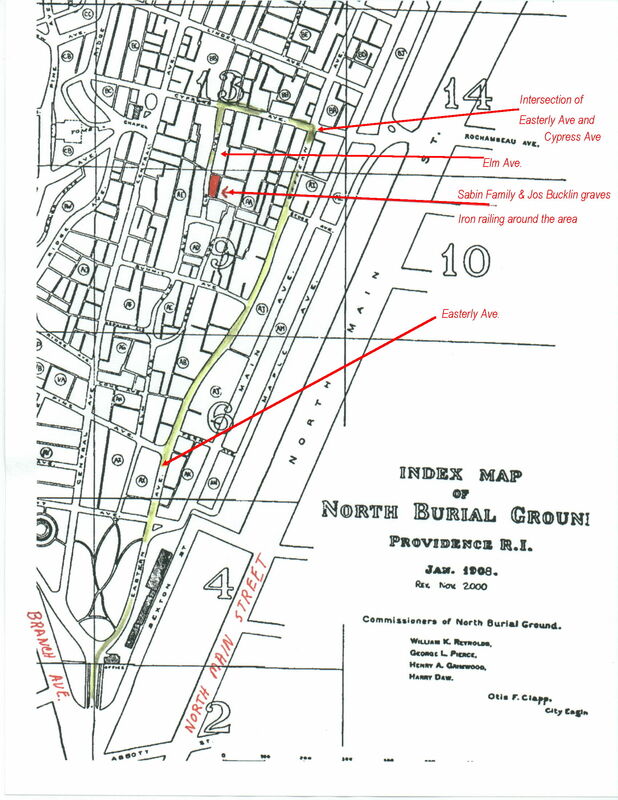 To get to it, exit from I – 95 at the Branch Ave. exit, and you will almost immediately find the cemetery. Bear right toward Main Street, where the entrance is on Branch before Main Street. Click to enlarge the map. 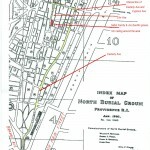 You will get a large map with scroll bars to get a good view of details of the route to the site. Print out the enlarged map and take it with you to the cemetery.